Born into the powerful and influential Medici family, renowned bankers and patrons of the arts, Marie de’ Medici was the daughter of Francesco I de’ Medici, grand duke of Tuscany, and Joanna of Austria, a Hapsburg archduchess. 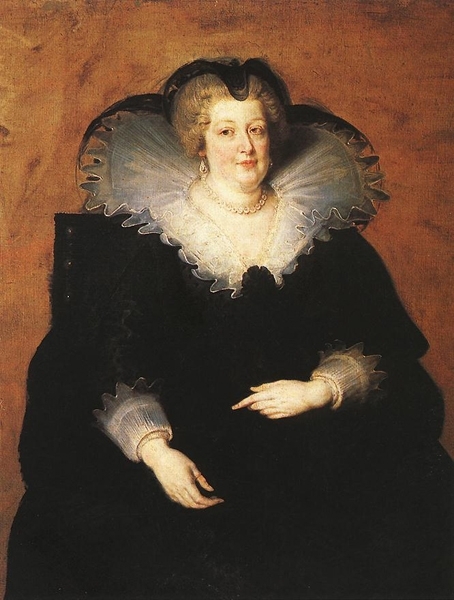 She became queen consort of France in 1600 when she married Henri IV, following the annulment of his first marriage. After Henri’s assassination in 1610, she served as regent to her son, the future Louis XIII, but her capricious style of rule and reversal of her husband’s policies caused Louis to exile her in 1617. Through the intervention of Cardinal Richelieu, she was permitted to return in 1621. 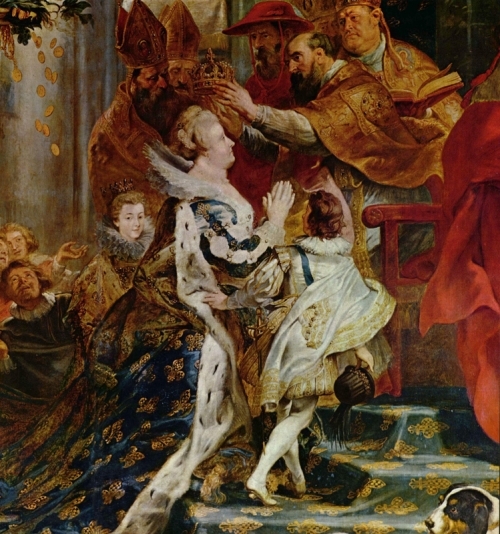 In a demonstration of her political strength, she commissioned the construction and decoration of the lavish Luxembourg Palace (begun in 1615), including a cycle of twenty-four paintings celebrating her life by acclaimed painter Peter Paul Rubens. In 1630, she precipitated another crisis—called the Day of the Dupes—in which she tried to remove Richelieu, who by this time had become an opponent. The plot backfired and Marie was banished once again, never to return to France.